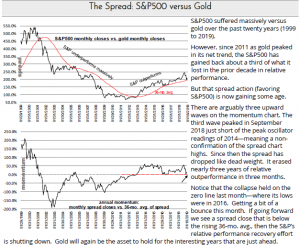 So you think stocks are a far superior investment to gold right? Wrong! Over the past 20 years, gold has massively outperformed stocks. 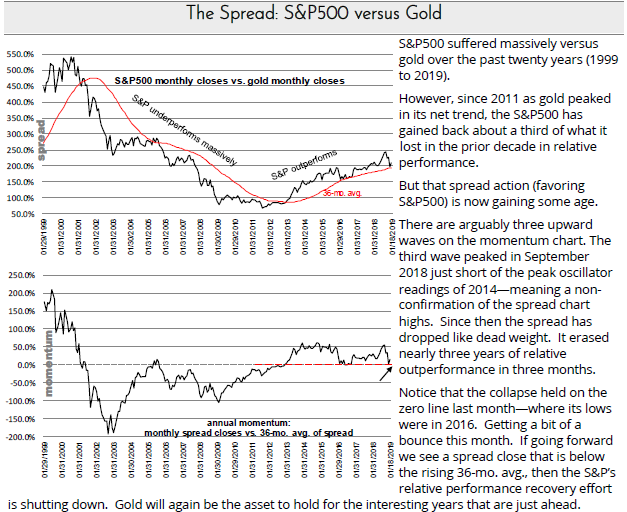 True, the S&P has been quite a bit better than gold since 2011, but Michael Oliver’s very dependable momentum and structure metrics suggest the yellow metal is about to turn positive vis-a-vis stocks once again. Here is evidence put out by Michael in his report of January 21, 2019.